Holds two pair chain or hinged handcuffs. Phoenix Advantage-Plus is the best looking nylon gear ever, and built to last. Abrasion and moisture resistant. Hard shell molded. 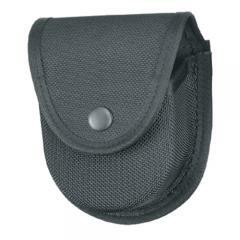 This double handcuff case fits belts up to 2.25" wide. Perfect fit 4 duty belt.